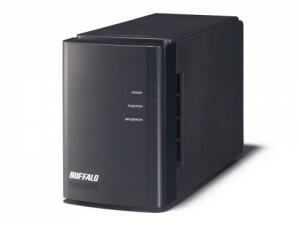 Buffalo Linkstation for linux backup. It’s time to expand the usage of my Buffalo Linkstation for linux backup. I have been using my Linkstation Network Attached Storage box for backup of my home PCs and MACs. 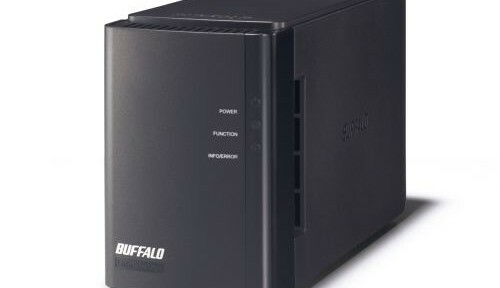 I have a couple of linux servers so I thought I’d see if I could use my Buffalo Linkstation for linux backup. The short version of the story is that I wrote a Buffalo Linkstation for linux backup script that created tar files of my user directories and ftp’d them to the Buffalo Linkstation. I tried samba mounting the Linkstation and rsyncing to it. ext4<->ntfs file system incompatibilities won’t let that work. This is a traditional tar command where I exclude the hidden files. Next, in researching this problem, the Buffalo Linkstation Forum has lots of powerful tips. The ftp program ncftp is a favorite to use in scripts. My fedora distribution didn’t have it, so I installed it. I tried rsync between by linux server and Linkstation… no luck. And on the Network->Workgroup/Domain settings page, be sure to put in the right settings for your home workgroup. My home workgroup is called WORKGROUP. This is explicitly set on my PCs. So from here, I ran a simple test rsync script. This worked. Great (I thought)! So I started setting up some cronjobs. I noticed that every time I ran my rsync, more than half of the files were re-backedup each run. Rsync only backs up that have changed; but none of these files had changed. Even after I added the “–modify-window=2″ parameter to the rsync command, I was still backing up way too many files. Similar to the issue found at link. Backing up an ext4 filesystem on my fedora linux server to the samba interface on the Linkstation wasn’t going to work for me. So, I learned that the Linkstation community follows a different approach to this issue. There’s robust set of contributions on how to turn-on ssh access to let rsync run directly through the sshd on the Linkstation, sans samba/cifs. I found the wiki that covers this case, and I’ll someday move to this approach; tar files are ok, but I want to eventually land into a rsync approach.